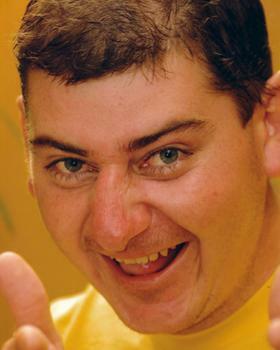 After spending time as an army infantry instructor, and also working as a bricklayer, Richard "The Dickster" Kaminski began his comedy career in November 1997, debuting at a Virgin Sacrifice show at the Harold Park Hotel in Sydney. He was booked for his first paid gig that night! He soon became a popular supporting act for headlining comedians, and then a headliner and MC in his own right. He toured Australia with Chopper and Jacko, and was a favourite around the mining towns of Western Australia and country pubs as well as the major comedy venues in the cities. He appeared in Fat Pizza and You Can't Stop The Murders as well as warming up the crowd for many high profile series such as The Footy Show. In 2007, he was immensely proud to be part of the ADF's seventh "Tour de Force" concert tour boosting the morale of troops stationed in the Middle East. Richard died on December 28th, 2013 from complications due to multiple organ disease. His passing is a great loss to the Australian comedy community and The Sit Down Comedy Club sends its condolences to his family and friends.